Publicize your content and double your site’s prospective clients’ engagement with the aid of the best Facebook widget from Elfsight. The widget is fully adaptive with various screen formats, and the flexible appearance options allow it to blend in your web-page’s layout in a perfect manner. Display any Facebook content: page, feed, videos, images, events. Construct a high-performance web-resource, using five-star apps to retain your readers, and take conversion to a higher stage. Let’s review the widget’s installation and configuration in detail. Fill out your new Elfsight Apps account or log into to your account. Select Facebook Feed in the list of solutions. Choose the feed’s parameters and design. Set a plan, you’re granted a number of payment variants: from a free one to the expert one. Get the widget script to add to your platform. Go to “Plan” page and select the site you’d like to install the widget to. 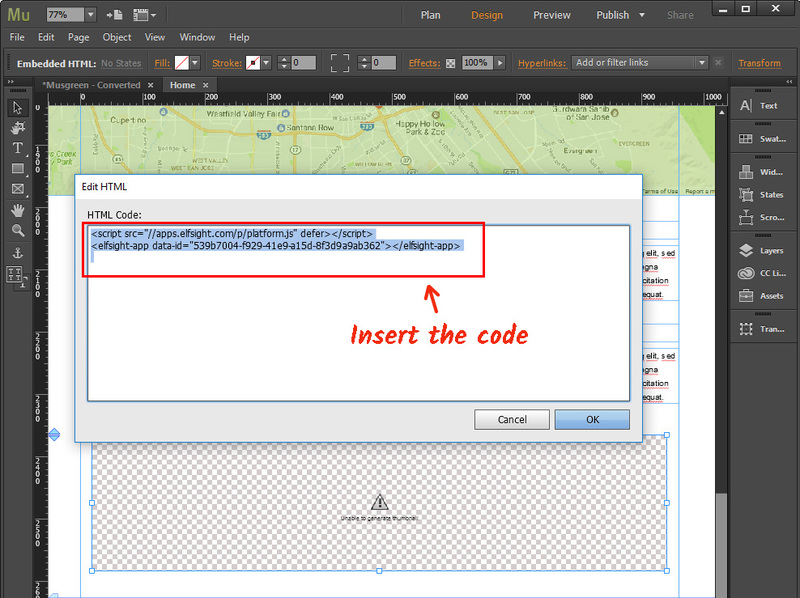 Add “Insert HTML” element from the “Object” tab to the place where you want to display the widget. Paste the Elfsight Apps code to the popup window and set the size for the Facebook block. 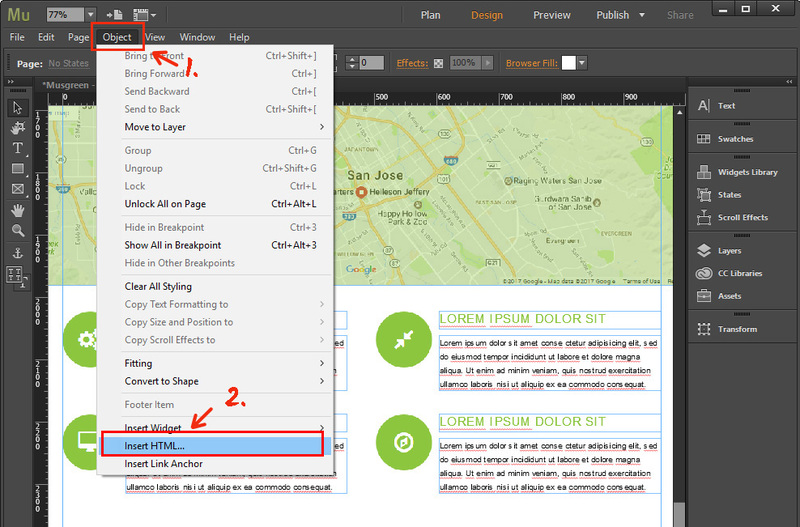 Publish the edits by pressing “Publish” in the upper menu. • You’ve successfully added the Facebook widget! You can rearrange the widget’s configuration or the represented Facebook account in your account at Elfsight Apps. After you put into use the adjustments, they will be automatically installed at your feed. Allows to different social content. You can find out more at the Muse Facebook page. An unprecedented platform, to boost different CMS websites’ productiveness. Check out the Facebook Feed online demo for free! 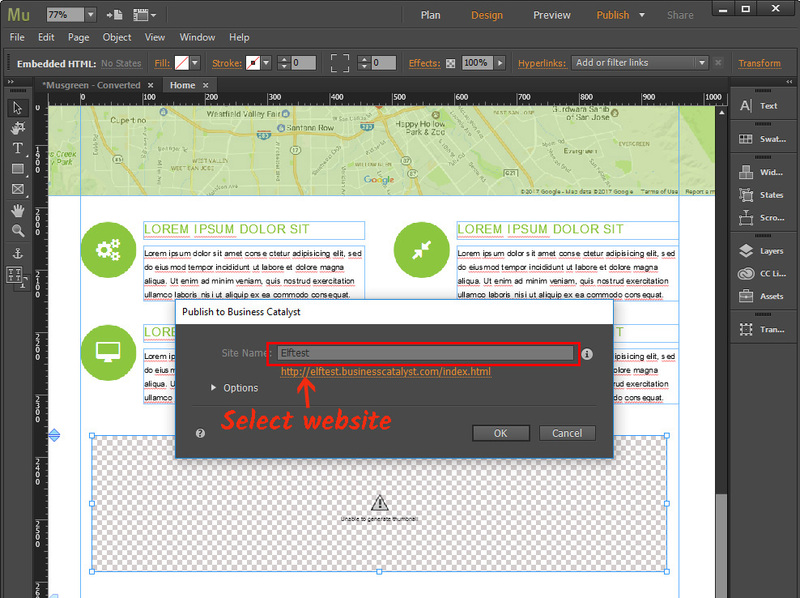 Shape an unmatched widget for your Adobe website.